A 20 year resident of NYC, he has been on the Outer Cape for the past 16 years. Ken's classes are inclusive, welcoming. A dedicated yoga student since his twenties, his teacher certification is from the Integral Yoga Institute on West 13th Street in NYC. 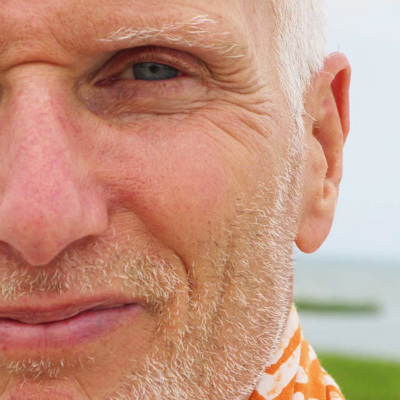 He is continually inspired by diverse teachings (Iyengar Institute, Jivamukti, Dharma Mittra, Rodney Yee, Erich Schiffmann, Don Stapelton, Lakshmi Volker Chair Yoga) and is currently a student of Greg Anton in Provincetown. He credits the grounding and centering of Integral Yoga for being the foundation that has allowed immersion in diverse practice. His classes are compassionate, they inspire self-observation and inquiry. He maintains the connection of breath, mind and body as the core of practice at any level. Ken believes that Yoga is a joyful exploration and a priceless gift that is available to each of us, regardless of age or experience. Read a Q&A with Ken here.